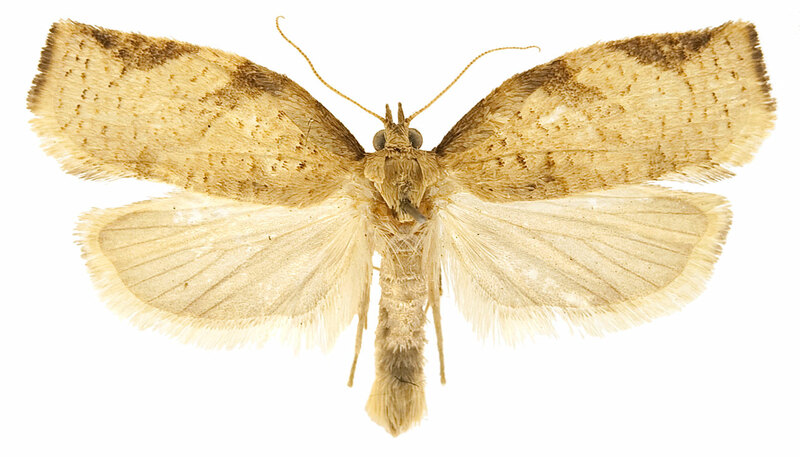 Forewings are pale yellowish brown with brown to dark-brown fasciate markings. Males are smaller with brighter markings and a forewing costal fold; females are larger, darker, and have duller markings. Male genitalia are distinguished by reduced socii, a well developed gnathos, a rounded valva, and transtilla with a spiny basal lobe. Female genitalia have a long ductus bursae and a hooklike signum in the rounded corpus bursae. Adult Adoxophyes orana may appear similar to other Adoxophyes and species in other genera such as Choristoneura and Clepsis. Adoxophyes in Asia include: A. dubia (Japan), A. honmai (Japan and Korea), A. orana beijingensis (China), A. orana fasciata (Japan), A. orana orana (China, Korea, and Europe), and A. privatana (China). All are difficult to separate using morphology and molecular diagnostics may be required for a positive identification (see Lee et al. 2005). Last instar larvae vary in body color. Head and prothoracic shield are black in early instars and become brown to yellowish brown in later instars. Legs are unmarked. Larvae appear similar to those of many other tortricids, including Choristoneura rosaceana, Epiphyas postvittana, and many Archipini. 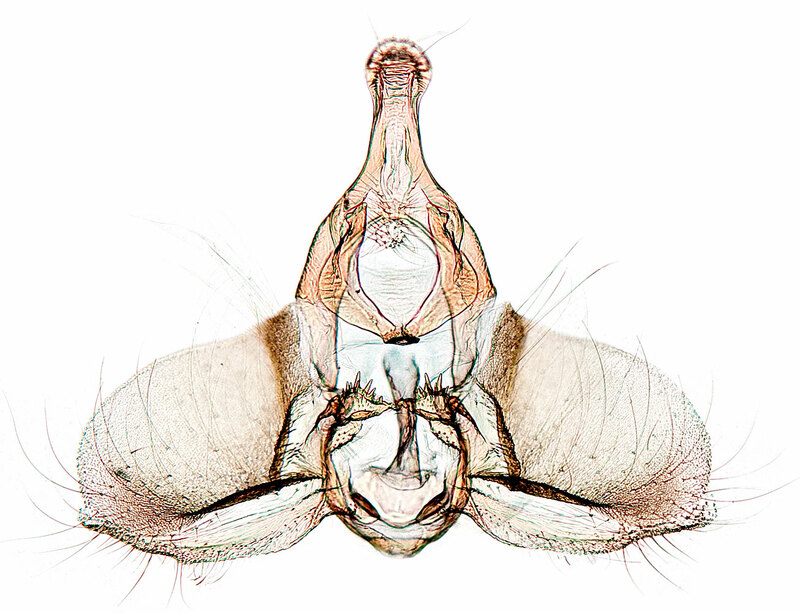 Molecular diagnostics may be required to positively identify A. orana larvae. Sakamaki and Hayakawa (2004) attempted to separate the immature stages of the three Japanese Adoxophyes using morphology but the differences they found are too minor to be diagnostic. Adoxophyes orana completes 2-3 generations per year. Adults are present in late May and June for the first generation, in July through September for the second generation, and in October for the third generation. Flight times vary with latitude and climatic conditions. Females lay eggs in masses of 4-150 individual eggs. Eggs are laid primarily on leaves, but females may utilize fruits and tree trunks in outbreak conditions. 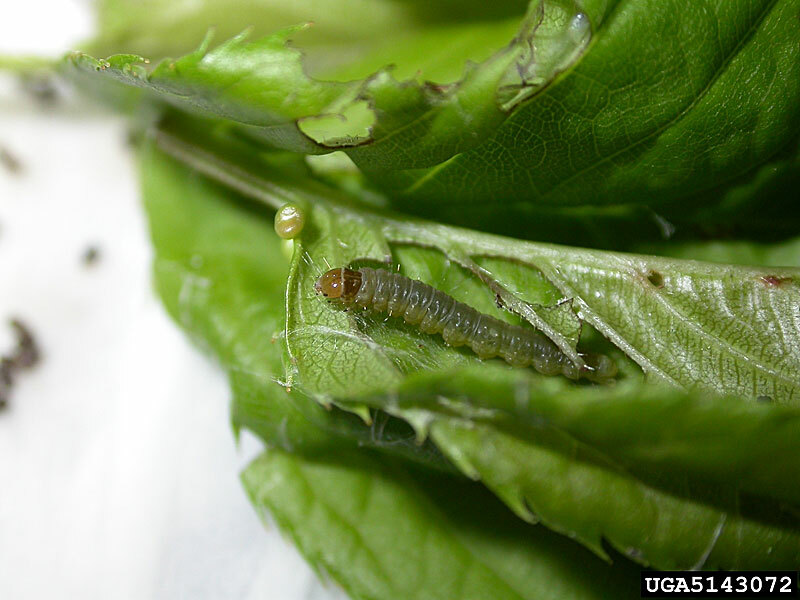 First instar larvae hatch in 8-20 days and feed under a silk web on the underside of a leaf. Later instars feed inside rolled leaves or web leaves to fruit and feed on the surface. Larvae complete five instars and pupation occurs in the final larval nest. Second or third instar larvae of the last generation hibernate until spring and complete development by feeding on buds and young leaves. 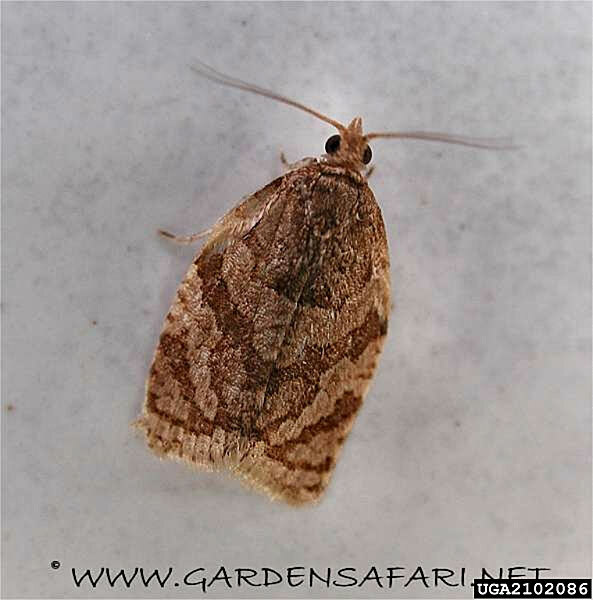 This species is considered a major pest of fruit crops throughout its range. Most economic loss is caused by damage to apple and pear. Adoxophyes orana is highly polyphagous and larvae have been recorded feeding on the leaves and fruits of plants in many different families. Fagaceae Castanopsis fissa (Champ.) Rehd. & Wils. Although tea (Camellia sinensis) is listed above as a host for A. orana, it is questionable if this record refers to the same species of Adoxophyes. Zhou et al. (1997) determined that the fruit-feeding populations of A. orana in northern China were a different subspecies (A. orana beijingensis) than the cotton- and tea-feeding populations in southern China (A. orana orana). In Japan, A. orana has long been divided into an "apple form" and "tea form," referring to populations that utilize different hosts. Yasuda (1998) described the "tea form" of Adoxophyes in Japan as a new species, Adoxophyes honmai, and treated the "apple form" of A. orana in Japan as a new subspecies (A. orana fasciata). Tea-feeding Adoxophyes in Korea were determined to also be A. honmai using molecular methods (Lee et al. 2005). It is unknown if the Chinese tea-feeding A. orana orana is actually a separate species or if it is conspecific with A. honmai. A European native, this species is widely distributed throughout Europe and several countries in Asia (China, Japan, and Korea). Beeke, H. and D. J. De Jong. 1991. Identification of Larvae and Pupae, pp. 65-76. In L. P. S. van der Geest and H. H. Evenhius [eds. 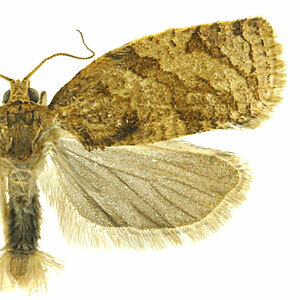 ], Tortricid Pests: Their Biology, Natural Enemies, and Control. World Crop Pests, Vol. 5. Elsevier, Amsterdam. Bradley, J. D., W. G. Tremewan and A. Smith. 1973. 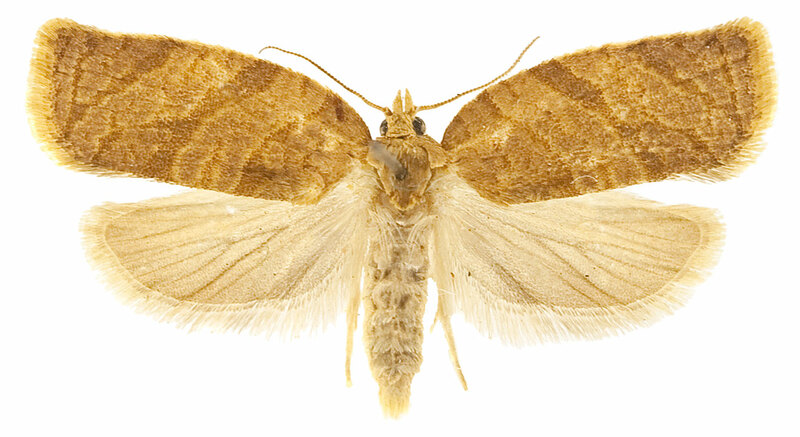 British Tortricoid Moths - Cochylidae and Tortricidae: Tortricinae. The Ray Society, London, England. Crop Protection Compendium. 2007 Edition. CAB International, Wallingford, UK, 2007. Davis, E. E., S. French and R. C. Venette. 2005. Mini risk assessment: summer fruit tortrix moth, Adoxophyes orana (Fischer von Roslerstamm, 1834) (Lepidoptera: Tortricidae). USDA - CAPS Pest Risk Assessment. Lee, S. Y., H. Park, K. S. Boo, K.-T. Park and S. Cho. 2005. 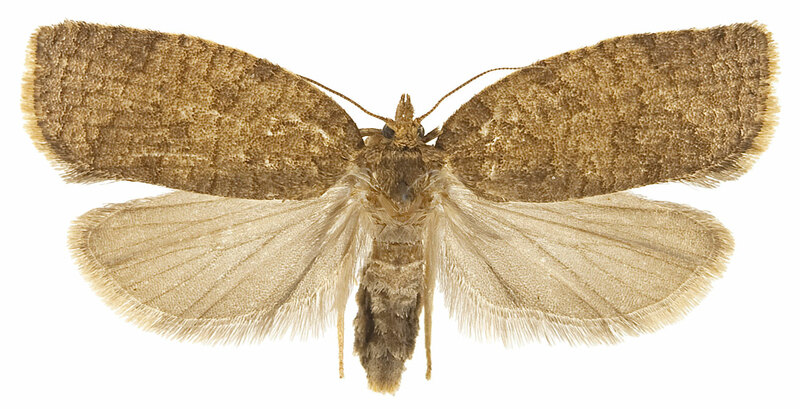 Molecular identification of Adoxophyes honmai (Yasuda) (Lepidoptera: Tortricidae) based on mitochondrial COI gene sequences. Molecules and cells. 19: 391-397. Meijerman, L. and S. A. Ulenberg. 2000. 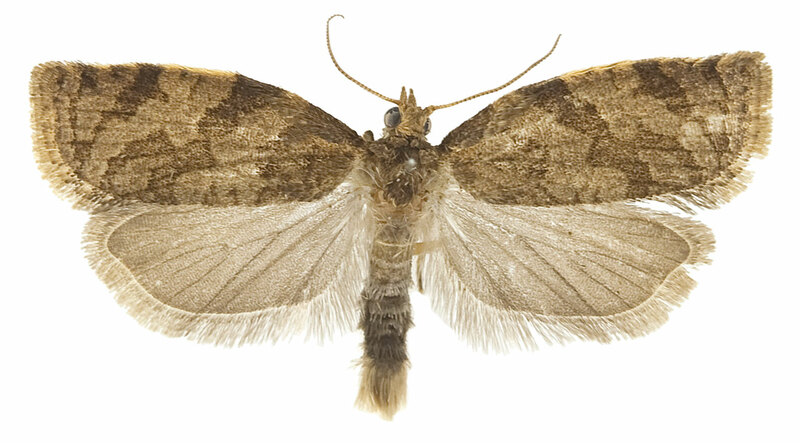 Arthropods of Economic Importance: Eurasian Tortricidae. Arthropods of Economic Importance series. ETI/ZMA. Sakamaki, Y. and T. Hayakawa. 2004. Specific differences in larval and pupal characters of Japanese species of Adoxophyes (Lepidoptera, Tortricidae). Applied Entomology and Zoology. 39: 443-453. Yasuda, T. 1998. 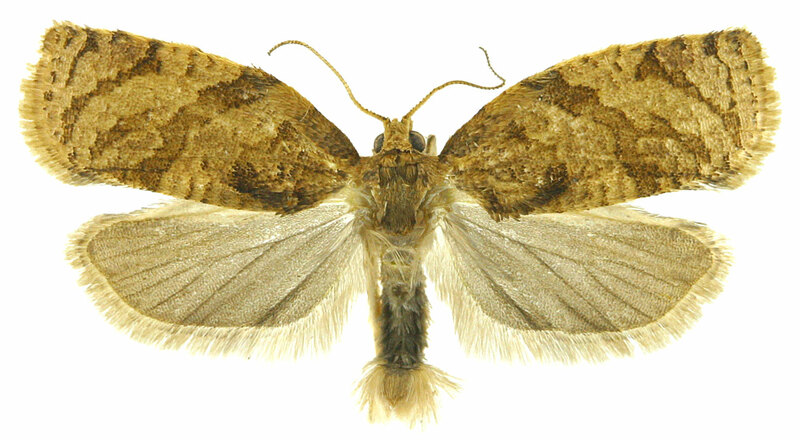 The Japanese species of the genus Adoxophyes Meyrick (Lepidoptera, Tortricidae). Transactions of the Lepidopterological Society of Japan. 49: 159-173. Zhou, J.-H., H.-G. Qui and W.-J. Fu. 1997. 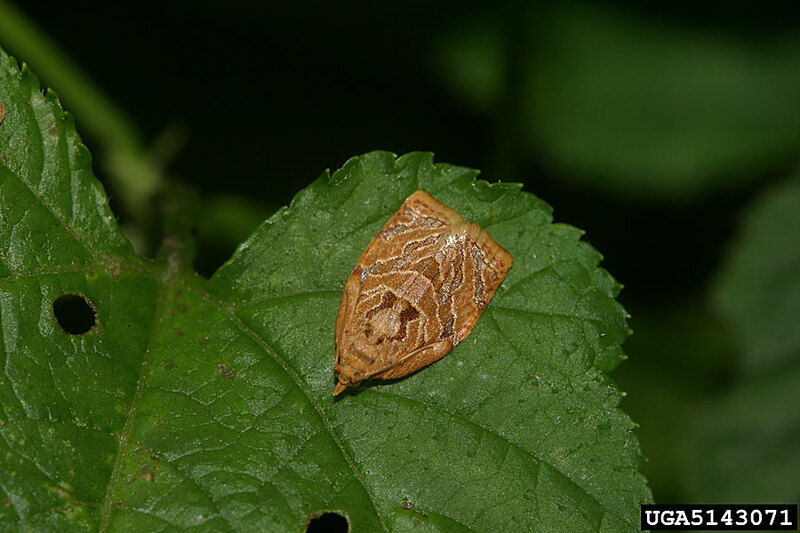 Summer fruit tortrix Adoxophyes orana should be classified as two subspecies (Lepidoptera: Tortricoidea: Tortricidae). Entomotaxonomia. 19: 130-135.